You'll come up with your own personal journaling ideas once you've begun keeping a Christian journal yourself. Don't feel like you have to find the "perfect" idea before you get started, because the whole idea of a "personal journal" is that it is personal to you!. You may find that you enjoy sticking with a certain pattern when journaling, while someone else may prefer to "change it up" from time to time and tackle something new and different to encourage more in-depth thoughts. Regardless, I'll share a couple of my own personal journaling ideas with you here, and I hope you'll do the same (using the form below). I'm not very creative myself, but I can take an idea that someone else has shared and use it as a springboard for coming up with my own version. I like to call the first of my personal journaling ideas a "Daily Living Journal." It's a bit out of the ordinary when it comes to the most common journal keeping methods. My daily living journal is probably more like a private diary between me and the Lord. In this journal I tell the Lord whatever is on my heart on a particular day. It may be sharing something exciting or it could be complaining about a difficulty or challenge I'm facing. I've found that there are some thoughts that are better off not spoken to anyone with skin on. They are best kept between me and God. Those are the perfect things to write about in my daily living journal. Sometimes we just want to talk to someone but no one else will do. Prayer is important, but I find that actually writing these thoughts down gives me a greater sense of confiding in Him Who loves me more than anyone else. It's like writing Him a letter and knowing that He read it. My dear friend, Jennifer Nuthorn (pastor's wife in Illinois), shared one of her personal journaling ideas with me recently for keeping a Gratitude journal. I loved it and wanted to pass it on to you. "Imagine if others would find the same joy in returning thanks to God for the great things He does each day! Writing Bible verses, hymn words, and thanks in journals is something I love to do!" The personal journaling idea that Jen shared with me was a milestone she had reached with her "Gratitude Journal." 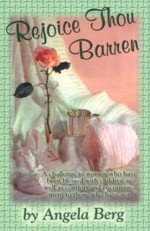 This is such a wonderful journaling topic that I just had to share what she was rejoicing over as it challenged and inspired me and I thought you would be blessed by it as well. 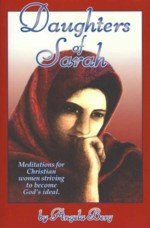 "Two years ago I read a challenge to start a gratitude journal: looking for things in everyday life that are gifts from God. I loved the act of writing them in a journal - it was soul-lifting, a second blessing. Generally as I sat down to write one, more would flow onto the page. Sometimes I recorded a Bible verse, sometimes I recorded challenging events working to see the good God must be working through it in my life. Anyway, it has been an amazing journey and Saturday night I recorded number 1000! I had to stop and think as the number was on the page...this one needed to be EVERYTHING! Isn't that just precious?! Having a heart of gratitude is actually a command of the Lord. It is God's will for us to give thanks continually and for all things. We need to make a conscious effort to obey this command, and a Gratitude Journal is the perfect tool to help us do just that! Victory Journal - Begin writing down the sins and temptations that you struggle with in your own daily life. Search the Scriptures for verses that deal with that subject or commands and promises for overcoming or avoiding those particular vices. Prayer Journal - Record your own personal prayer requests (as well as those of others that you are praying for) and then record how and when God answers your prayers. Having a written prayer list will help you to remember to pray for specific people and situations. By keeping track of the answered prayers it makes you so much more aware of how God is blessing you in ways both big and small that can easily be left unnoticed. That should certainly be enough to get you started, but you can check out more journaling topics if you still need more ideas to get you going. 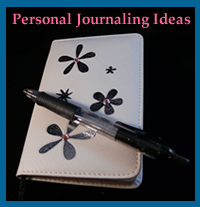 And don't forget to share your own personal journaling ideas with us.